You pay all your bills on time and you work hard to earn more — so you can save more. Your credit score reflects your savvy money management skills, and you can proudly boast that you’re a member of the 730-and-up club. Your partner? Not so much. Whether due to past actions or financial mistakes they’re currently working to correct, your love’s credit score is not something to write home about. What’s a committed couple ready to settle down into a place of their own to do? Before giving up on dreams of home ownership, take a look at the following options and determine what path makes the most sense for the two of you. Before trying to beg and plead with a lender to just give you the loan, ask why your partner’s credit score is less than stellar. If in the end you can chalk a bad credit score up to a mountain of consumer debt, you both might need to take a step back. Buying a home isn’t a requirement — it’s an important decision, but it’s a big one — and trying to force the situation while one of you faces dire financial straits is a recipe for monetary disaster. Step one: develop a debt repayment plan. Step two: look into home ownership later, when you each carry smaller liabilities. Ready to buy a house now? It may make more sense to apply for a loan on your own instead of going in jointly with your partner. Keep in mind that lenders look at your entire financial picture to determine whether you qualify. That means your own income, assets, and credit-worthiness need to meet the lender’s requirements without any help from other sources. Before running down this road, ensure the monthly payments and other costs associated with home ownership are ones you can shoulder with your income alone. While no one wants to think about worst-case scenarios, it’s your name on the dotted line — and you’re the one responsible for paying the mortgage if the two of you ever split up. Although mortgage lenders may seem like faceless entities incapable of deviating from their set processes, there is room for you to explain your situation and provide all the facts. 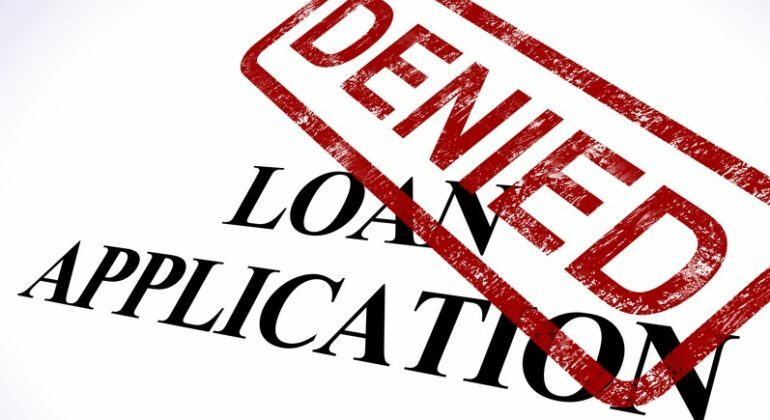 If you can show your partner’s bad credit is due to factors that will not impact your reasonable ability to repay the home loan, the lender may approve a joint application despite a low score on one end. Ask if you can write a letter of explanation for a low credit score. If the lender says it will consider your explanation, provide as much documentation to back up your reasons as possible. Consider including explanations and documents to show how, together, you and your love can reasonably make your monthly payments on your potential loan. If none of the above solutions works for your situation, you can consider asking someone to co-sign the home loan with you. Another person with a good credit score, sufficient income, and low debt-to-income ratio can help you qualify for the mortgage you want. But you shouldn’t consider this option lightly. That other person will be financially responsible for the loan if you default. To put it simply, co-signing can come with a lot of baggage. If co-signing makes sense for you, it’s an option — though you might want to think about other options first. Love is blind, but mortgage lenders may not be so forgiving (or, well, blind to the realities of your financial situation). That doesn’t mean buying a home is out of the question, but do your research first. If you can find a workable solution, take action and make your home-owning dreams a reality. And if you both need to take some time to repair that bad credit score? Do that, and rest easier knowing your financial ducks will be in a row before you take on a mortgage.